Do you know that by 2060, the number of Americans 65 years or older is projected to more than double from 46 million to more than 98 million? Currently, that age group represents 15 percent of Americans; in 2060 it will increase to almost 24 percent. These are statistics from the Department of Health and Human Services, Administration on Aging. As we grow older, we often feel the need to downsize; our kids have their own homes, and our present home is either just too large – or no longer adaptable to our physical needs, or both. Or we want to be closer to our grown children and our grandchildren. If you’re in that category, you may have thought about a special kind of reverse mortgage – more officially known as Home Equity Conversion Mortgage for Purchase, HECM for Purchaser or simply H4P. The typical reverse mortgage allows homeowners over age 62 to tap into the equity on the present home and either get a line of credit or a lump some of money. The H4P allows you to actually buy a house getting a reverse mortgage loan. While an interesting concept, the program isn’t for everyone. You should fully investigate the benefits and drawbacks before making a decision. Here’s how it works: You have to be at least 62 years old. If your spouse is not that old, he/she cannot be on title. In general – and depending on your age at the time you make application – you will be able to get a reverse mortgage loan of between 47 and 52 percent of the purchase price of the new home. The older you are, the more money you are eligible to get. This means you have to come up with the balance. Typically, if you plan to sell your current home, you can use the sales proceeds to make up the difference. And if you have sufficient income from other sources, you can even keep your current home as an investment and still be eligible for the reverse mortgage. There are a few requirements: You and your spouse must live in the new property; it must be your principal residence. You must go through consumer counseling; the lender – and the government – want to make sure you fully understand what you are pursuing. And you must prove you are financially able to pay the real estate taxes, insurance, general maintenance and upkeep and any applicable community association dues. To be eligible for this kind of reverse mortgage, the property can be a single-family house, a two-four property so long as you reside in one of the units, or condominiums that have been approved by FHA. Currently, that is a problem because FHA has recently imposed requirements that to be eligible for an insured FHA loan, the association’s financial reserves must equal at least 20 percent of their annual budget. Additionally, no more than 10 percent of all units can be delinquent in paying their assessments. Unfortunately, a large number of associations throughout the country cannot meet these requirements. Time will tell how this will play out under the new administration. 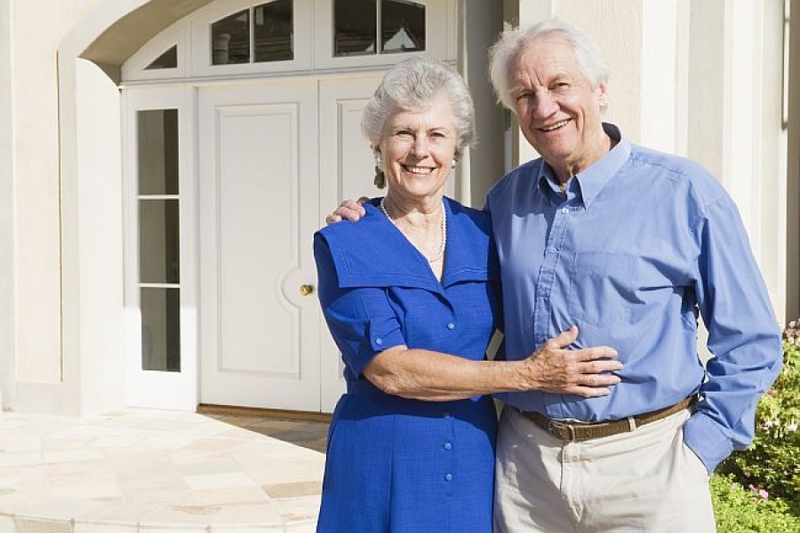 There are significant benefits with a reverse mortgage for purchase, but there are also several down-sides. On the positive side, not only will you pocket some of the sale proceeds from your old house but you also do not have to make any mortgage payments. You can use the money you save for whatever you want. On the other hand, because there are no mortgage payments, the loan balance increases on a monthly basis. At some point, it can – and may – exceed the market value of the house. For those of us who want our children to inherit the house on our death, this may not be desirable. But the good news is that under no circumstance will you – or your estate – ever have to pay the lender any deficiency between the market value of the house and the then outstanding loan balance. It is completely insured by FHA. This is just one of a number of options seniors should consider. Talk with your children; discuss the pros and cons with your financial and legal advisers. And once you decide this is what you want, make sure you work with a certified reverse mortgage professional. Although this reverse mortgage process is just like any other loan closing, there are a few more conditions. As mentioned, the buyer must meet with a counselor. The closing must be completed within 60 days from contract signing. And if you are buying in a new development, you cannot even sign a contract until the property has been issued a certificate of occupancy. And finally, although the seller can pay those costs which are typically – by custom or law – imposed on the seller, the seller cannot give monetary concessions, such as paying some or all of the buyer’s closing costs. However, the parties can certainly incorporate any such concessions into the purchase price, so long, of course, it does not exceed the appraisal price.